One of the joys of walking in nature reserves is you might be lucky to see something that will make you smile. 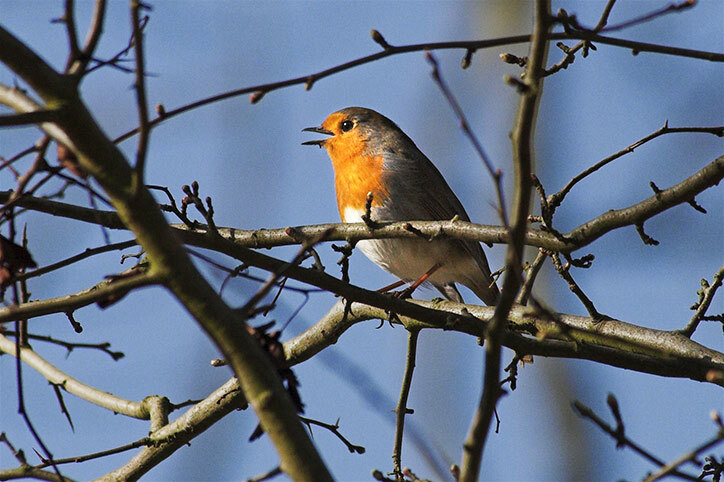 In this case, this robin seemed oblivious to me snapping away while it sang. Shot at Whittenham Clumps, Oxfordshire.